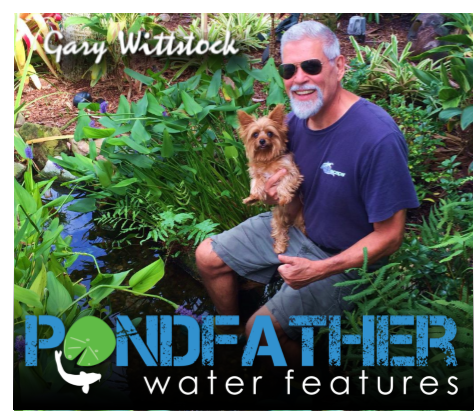 Gary began building water features in 1982 and co-founded Aquascape Inc. with his son Greg, The Pond Guy in 1992. He is a Certified Aquascape Contractor (CAC) now building water features in and around Florida's Space Coast. Floyd Kolb ran his own heating, plumbing, A/C & refrigeration business in Pennsylvania his entire 40+ year career. His skills include carpentry, masonry, welding & fabrication, equipment operation & farming creating a natural fit moving on to waterscaping here in Florida. Floyd is a high-energy, water-loving guy who takes great pride creating unique, low maintenance & beautiful water features both indoors and outdoors for our clients. Kris is an organizational and technical specialist with a background in financial management and graphic design. She has been an Apple Tech Support expert for 8 years and has produced 11 CDs of original music.